Selling Your Home? 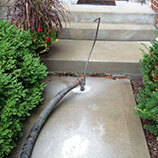 Repair Your Concrete For a Great ROI! Selling your home can feel like a process that never ends. Once you tackle one problem another arises. If you are working on repairing or replacing items or parts of your home to net you the largest possible return on investment, repairing your concrete is a great place to start. 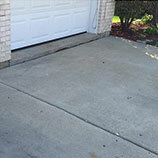 With help from the concrete repair experts at B&B Concrete Lifting in Chicago, you can make your property look nearly brand new with a relatively small investment. Contact us today for a free estimate on concrete lifting services or read on to learn more about the benefits of concrete repair. One of the most important factors needed to sell a house quickly is curb appeal. While the concept is relatively straightforward, what counts as curb appeal for some people is totally overlooked by others. Simply put, buyers can be interested in different things. One factor that few people are willing to overlook is an ugly or rundown appearance of a home. Unless you are trying to sell to an experienced home flipper, most people are not interested in looking at a home if the first thing they see is an overgrown yard, a damaged roof, or cracked concrete. While B&B Concrete Lifting can’t help you repair a roof or perform landscaping miracles, we can help you turn tilted and broken concrete into something that looks good again. Our concrete repair process is simple, fast, and much more affordable than having a contractor pour new slabs. Best of all, our results are more likely to be a permanent fix compared to a fast repour job. 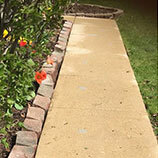 We examine your concrete and, if we find a void or area of erosion under your slabs that is causing them to shift or crack, we will fill these areas with a specially designed, erosion-resistant material that lifts slabs back to where they should be. If you act soon enough, concrete lifting can prevent your concrete driveways, sidewalks, and pathways from cracking and breaking. If this is the first time you are selling a home, after someone decides they want to buy your home, they will put in a bid with their real estate agent. Depending on the area you live in, they may come in quite a bit below asking price, especially if your home isn’t in perfect shape. 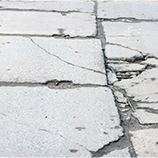 By having us perform concrete repair on your property before it hits the market, you might be surprised how quickly offers come in that are close to, or even above, asking price. When things look good on the outside, people are always willing to pay. Concrete lifting costs much less than having new slabs poured and takes just a fraction of the time. While it can take days for a crew to come and break up old concrete, tamp down the dirt, repour slabs, and then wait for it to cure, concrete lifting can usually be completed in a single day with a small crew that won’t cause congestion in your neighborhood or be extremely loud. Contact us today for a free estimate in the Chicago area!